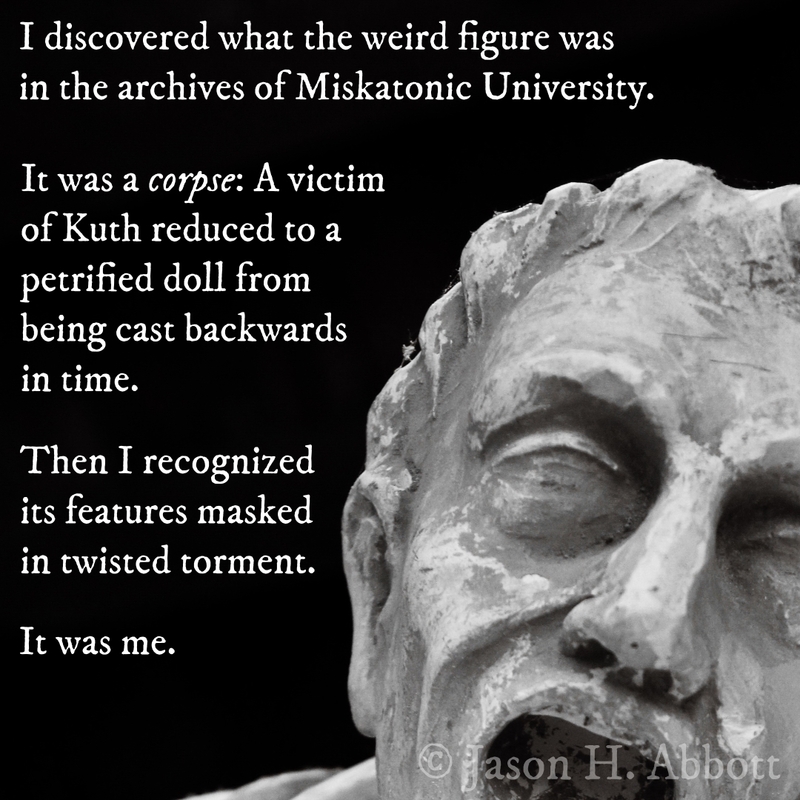 I discovered what the weird figure was in the archives of Miskatonic University. It was a corpse: A victim of Kuth reduced to a petrified doll from being cast backwards in time. Then I recognized its features masked in twisted torment.